Ivanhoe’s share price in Toronto enjoyed its own great leap forward on Wednesday, rising 14.48 percent to C$3.32. 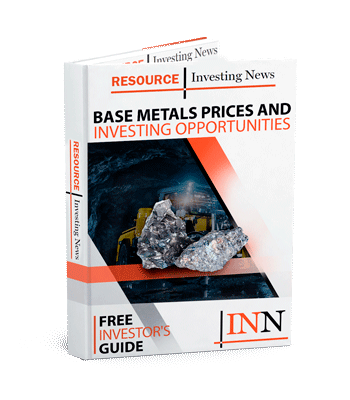 While delivering a keynote speech at the 2019 Mining Indaba event in Cape Town, Ivanhoe Mines (TSX:IVN) Co-chairman Robert Friedland took the opportunity to announce the “extremely positive” results of an independent prefeasibility study (PFS) for the Kakula copper mine, and a preliminary economic assessment (PEA) for the Kakula-Kamoa complex. Using some Chinese Communist Party terminology from the 1950s, Friedland described Ivanhoe Mines as being on the verge of a “great leap forward” from a mine finder to one of the world’s top copper producers after 25 years of work in Southern Africa — thanks in no small part to the Chinese cash the company has been swimming in since mid-2018. Following the speech by Friedland, Ivanhoe’s share price in Toronto enjoyed its own great leap forward on Wednesday (February 6), rising 14.48 percent to C$3.32. Since the beginning of 2019, Ivanhoe Mines is up 42.78 percent. “To all of our African brothers and sisters, you now can clearly see the fruits of the incredibly intensive efforts by our people over the past two decades, while overcoming countless challenges, to initially discover, then extensively expand, the Kamoa and Kakula resource base with a massive drilling and engineering effort,” said Friedland. Looking at some numbers, Ivanhoe said the PFS for Kakula envisages an initial 6-million tonne per annum mine yielding an average 291,000 tonnes of copper at a mine-site cash cost of US$0.46 per pound and a total cash cost of US$1.11 per pound for the first ten years of production. With a 25-year mine life, the Kakula mine would have an initial capital cost of US$1.1 billion and an after-tax net present value of US$5.4 billion. It would have an internal rate of return of 46.9 percent and a project payback period of only 2.6 years. A standout feature of the PFS for Kakula is its 6.8-percent feed grade for copper for the first five years of operations, and an average of 5.5 percent over its entire 25-year life. Friedland also announced a second study, a PEA for the combined Kakula-Kamoa deposits envisaging a modular 18-million tonne per annum (Mtpa) operation. “Initial production would occur at a rate of 6 Mtpa from the Kakula Mine, before increasing to 12 Mtpa with mill feed from the Kansoko Mine. A third 6 Mtpa mine then will be developed at Kakula West, bringing total production rate to 18 Mtpa,” says a press release. The PEA envisaged that peak annual production following the three-stage ramp up would be more than 700,000 tonnes of the red metal. In 2017, copper production in the whole of the DRC amounted to 850,000 tonnes, making the African nation the largest producer on the continent and the sixth-largest in the world. According to statistics released by the DRC Chamber of Commerce this week, copper production increased by 12.9 percent in 2018 to 1.2 million tonnes. Those numbers would have the DRC leapfrog Australia to become the fifth-largest copper producer, behind the USA at 1.27 million tonnes. 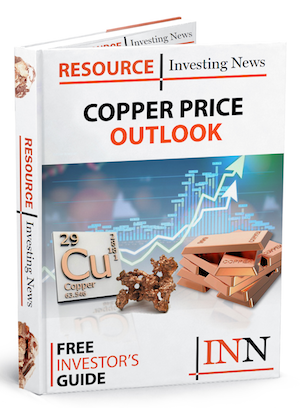 Adding Ivanhoe Mines’ three-stage Kakula-Kamoa numbers to the DRC’s 2018 copper production would have the African nation tied with China as the third-largest copper producer in the world. In the same presentation made at Indaba Mining in Cape Town, the DRC Chamber of Commerce also said that cobalt production was up by 43.8 percent to 106,439 tonnes for 2018.